Eric Schopler, Ph.D. , Mary E. Van Bourgondien, Ph.D. , Glenna Janette Wellman, Ph.D. , Steven R. Love, Ph.D.
To identify children with autism and determine symptom severity through quantifiable ratings based on direct observation. Now a revised Second Edition expands the test's clinical value, the CARS2 adds forms and features that help you integrate diagnostic information, determine functional capabilities, provide feedback to parents, and design targeted intervention. The CARS2 includes three forms the Standard Version Rating Booklet (CARS2-ST), a High-Functioning Version Rating Booklet (CARS2-HF) and a Questionnaire for Parents or Caregivers (CARS2-QPC). 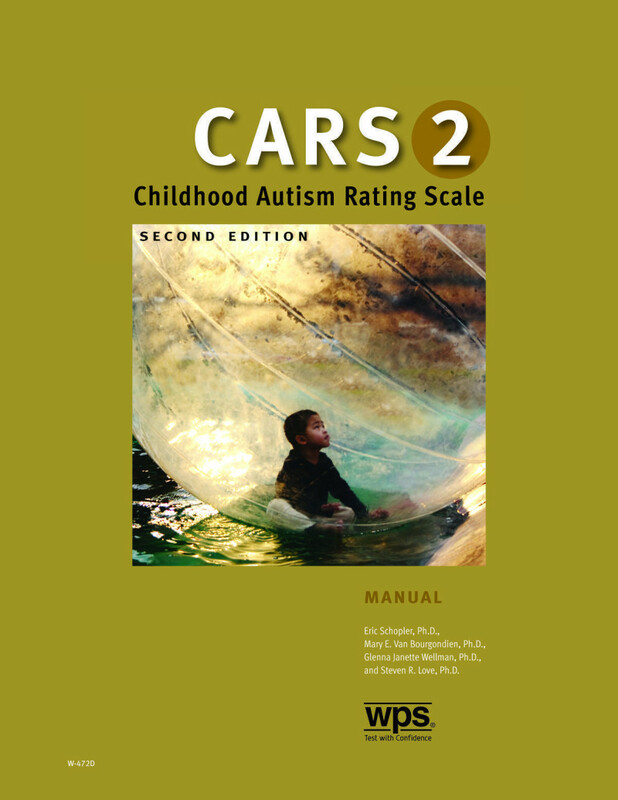 With a new form for higher-functioning individuals, a structured way to gather caregiver information, and guidelines linking scores to intervention, the CARS2 remains one of the best autism assessments available. Normed on a sample of 1,034 individuals with autism spectrum disorders.